'Prompt' ~ 'Wild Violets' ~ I did an 'ad lib' and chose 'shrinking violets' ~ Wild I am. Bicycles actually standing up; rather than just thrown on the ground. I was amazed! 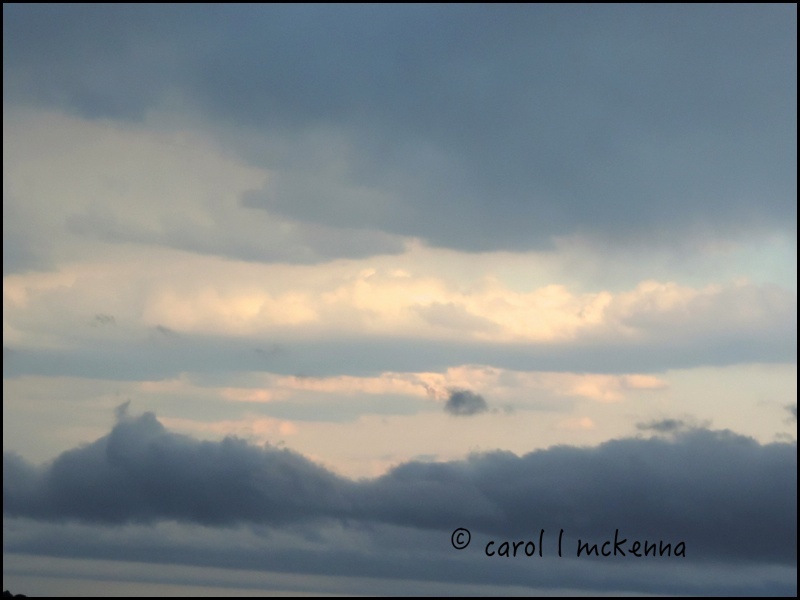 Unique sky one night this week on Cape Ann MA ~ Dazzling light through dark clouds. If it is not 'snow' this year then it is a 'week of rain' predicted. Fun,fun, fun! The 'best' for last ~ She is about to 'nod off' as you can see from her eyes. Your posted comments are most appreciated. thanks! All great photos - I especially like the way you have framed that first view - but I agree - the last is the best! So cute! 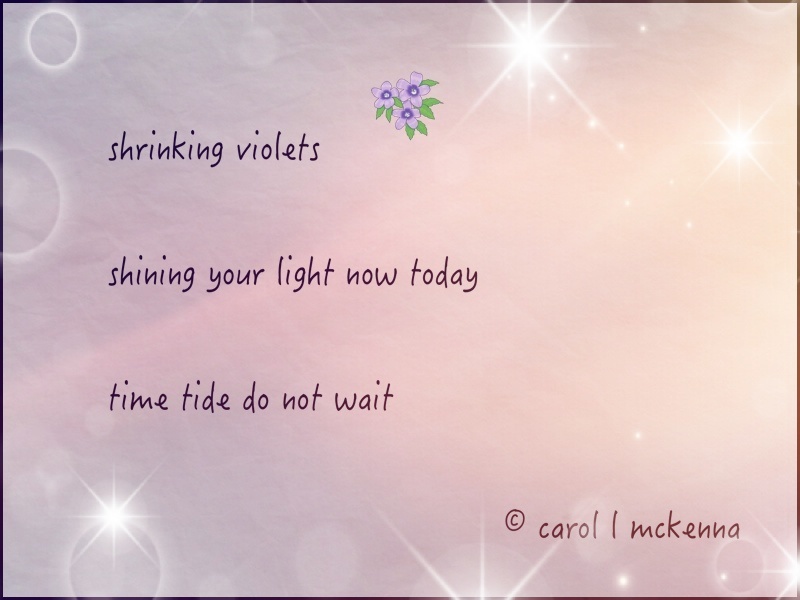 shrinking violets shinning today and time tide do not wait really stands out and makes me think. What a cute doggie. What's her name? A lovely series of photos. I always look forward to my weekly look at Artmuse Dog! Another post with such wonderful variety! Art Muse dog does look sleepyy in that photo! I see he has a favorite blanket--so sweet! 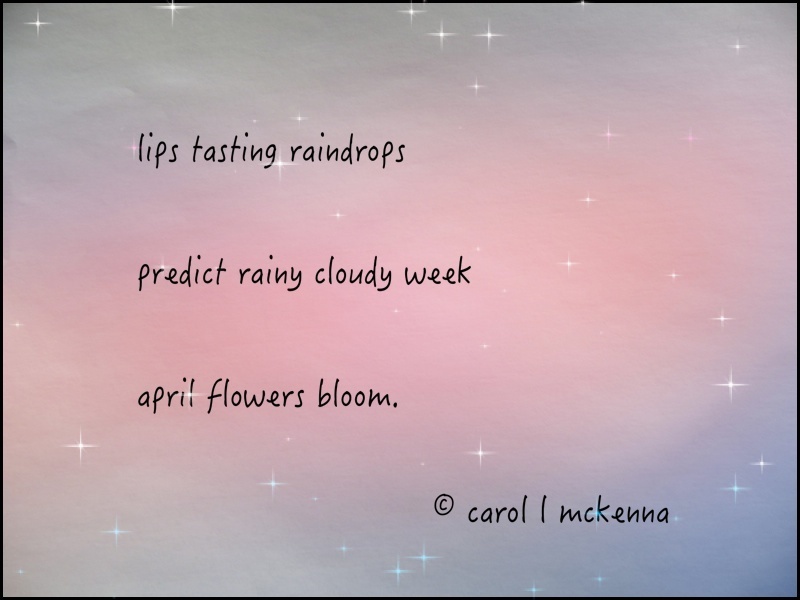 Two lovely haiku --I know a fellow blogger visiting Japan this week and sharing photos on facebook. Lovely shots and a beautiful quote! 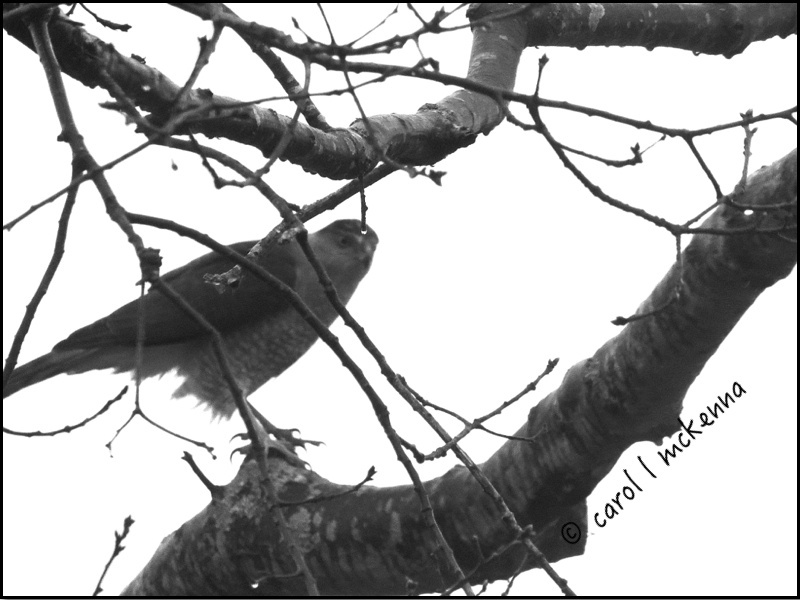 I love your sweet Art Muse, she needs her beauty rest.. We are having a lot of rain this week too, I have to keep telling myself April showers bring May flowers.. Lovely haiku and images.. Have a happy week! 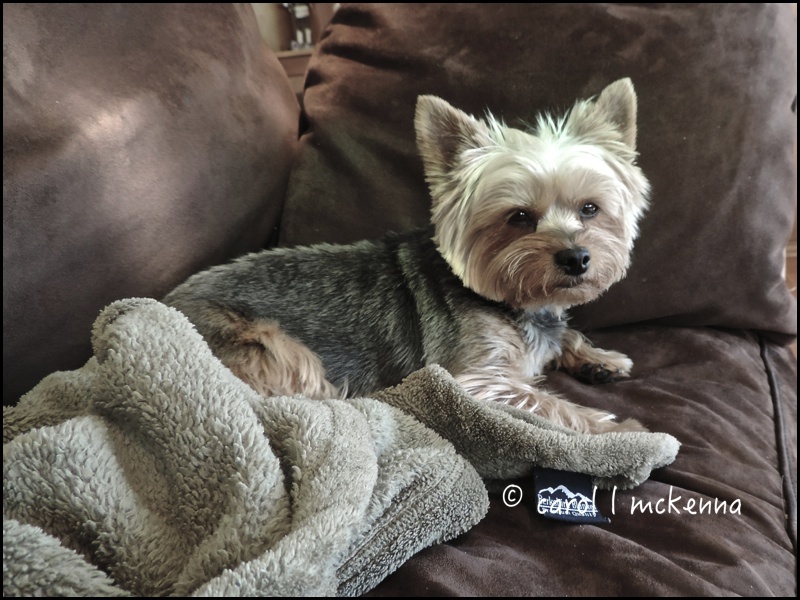 your photos and haikus are always so enjoyable carol, and yes, a dose of Art muse dog is a sweet end to the post:) Here's wishing you some sunny days! When violets shrink, I wonder if we are being warned? The first photo is exceptional ! The other shots I also like very much! 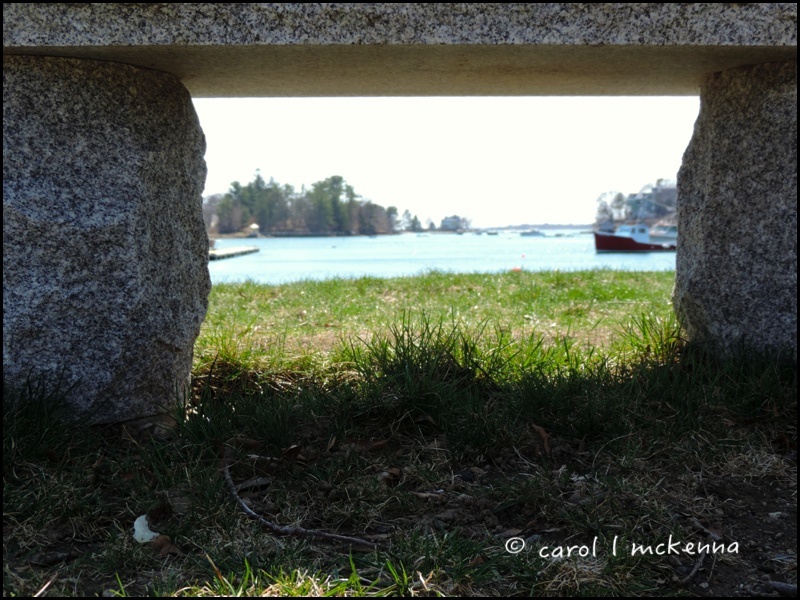 Some great photos today, like the first one under the stone bench. But of course Artmuse dog is the best! He does look very sleepy. And for us it's a rainy cloudy yellow leaves falling. It truly is amazing that the bikes were standing! Oh yes you are a wild one Carol! Wildly creative! Loved the violet haiku a lot. Glad you took creative liberties with the theme. Thanks for everything in the post. Beautiful all as always, plus your words make me think! And that's a good thing. The view of the water and the other photos in this post are very beautiful. I thank you for posting pictures of bicycles, for I truly love bicycles. Yes, real utilitarian bicycles used to (and still do) have stands. I like the natural "frame" you found in the first shot! A wonderful post, Carol. Makes the cold and snowy winters all worth it doesn't it!! Art looks like she is about to go where I do when I sit for very long, '_____land'. 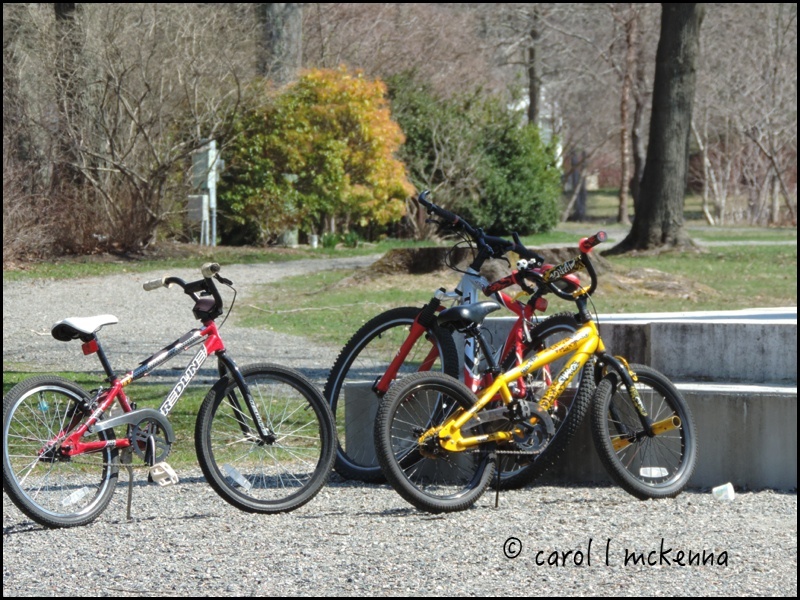 And those bikes, yes, they are parked nicely and neatly. Love the perspective in that first shot. What a cute photo of your sweet pup! I didn't see snow in any of your photographs and that's a good sign! You did save the best for last! Building a parachute out of broken things is a wonderful idea. When things are broken we get perplexed, shocked and frustrated. A parachute or positive thinking will help us land safely on the ground and we will be able to find a solution to fix the broken thing and solve our problems. Beautiful haikus. We have certainly had April Showers here. And it shows its handy work in all the beautiful flowers!!! Have a grand week! Time is certainly not waiting for me! I like the sky photo. It looks like a storm is rolling in. And of course, Miss Sleepy Dog, though her eyes are still quite bright.